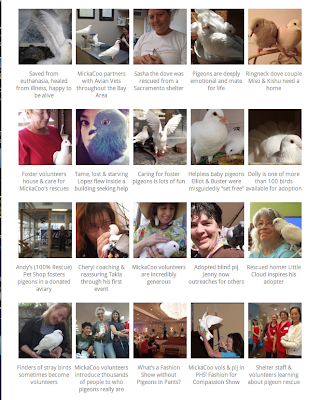 MickaCoo Pigeon & Dove Rescue has had both a very challenging and very promising year. We are getting ever more support and leadership from volunteers and seeming more outreach and placement efforts from Bay Area shelters. 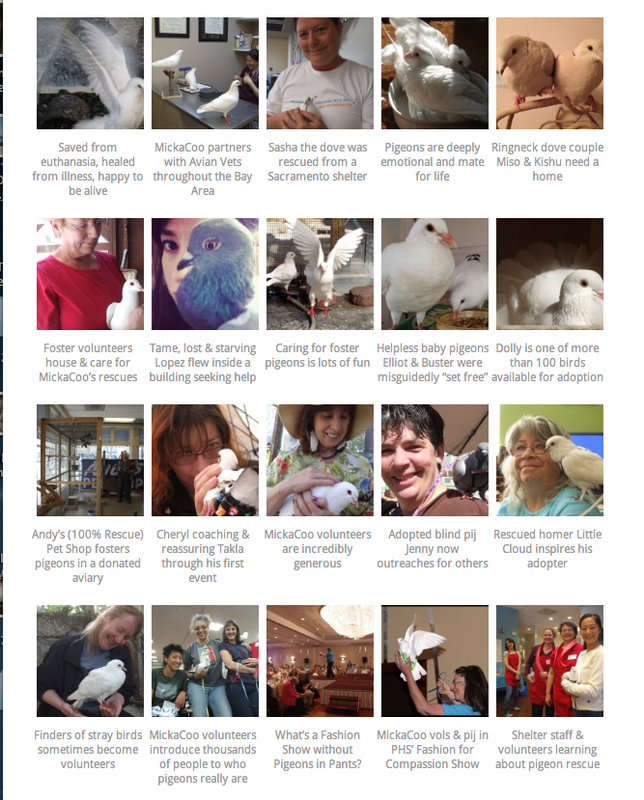 In 2012, MickaCoo's foster volunteers saved more than 200 lives by caring for and housing pigeons and doves that no one else would. We've placed more than 100 birds with carefully screened adopters and counseled on behalf of the welfare of hundreds more. The challenge is meeting the overwhelming demand for our service. We need more adopters, more fosters, more funding. What we are doing is valuable and meaningful and we are committed to becoming even more effective at doing this “impossible” work. We’re closing an historic gap in animal rescue. We are challenging indifference with compassion and changing the world for the better. You make the difference. Thank you.